Don’t let poisonous plants ruin your summer fun! If you’ve ever found yourself with an itchy, red rash after a day of yard work you may have been exposed to one of the four main types of poisonous, skin irritating plants that grow on the Eastern seaboard. Summer is the prime time to exposure to these types of plants with more people out doing yard work. With that in mind, we’ve put together a guide on how to identify these nasty plants so that you can spend less time itching this season. Native to all but Alaska and Hawaii, poison ivy can grow as a hairy vine or as a shrub. You’ll recognize this troublesome weed by way of its three glossy leaves and toothed edges. Occasionally you will find smoothly edged variants. Poison Ivy also turns yellow to orange in fall. If exposed to poison ivy, make sure not to scratch, instead use wet compresses and soak the affected area in cold water. 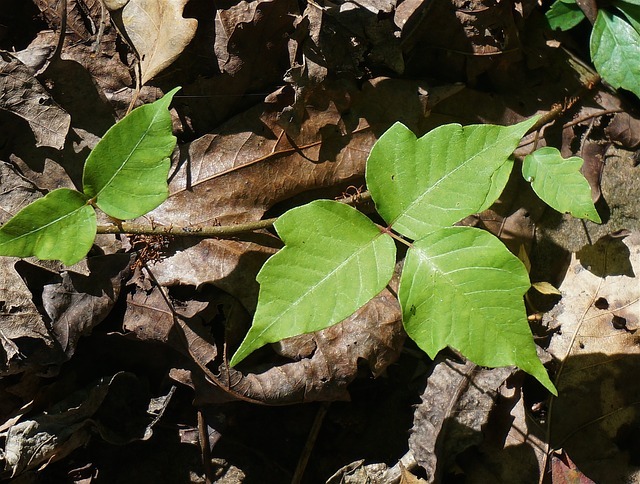 Like Ivy, poison oak grows in clusters of three leaves. They are lobed, toothed, and slightly fuzzy. It grows as both a short shrub and a vine and can produce yellow or white berries. If exposed to this plant you may use the same instructions as with poison ivy. Commonly found in the bogs and swamps of the Northeast, Southeast, and Midwest of the united states, Poison Sumac generally grows as a small tree or tall shrub. The leaves appear in clusters of seven to thirteen and have smooth edges. The plant changes color throughout the year and occasionally bear yellowish flowers and fruit. If exposed to sumac you must wash the area immediately and apply an OTC corticosteroid. Wild Parsnip can often be found in dry, flat areas such as fields, roadsides, and pastures. Look for a rosette of leaflets around the stalk; they will usually have saw-toothed margins. The flowers of the wild parsnip are produced in large quantities, with small yellow petals that curl into the center. If you find yourself suffering from contact with a parsnip, keep the area out of direct sunlight and wash with soap and water. You may need to see a doctor if blisters form. This entry was posted on Friday, June 22nd, 2018	at 5:30 pm	and is filed under Lawn Tips	. You can follow any responses to this entry through the RSS 2.0	feed. Both comments and pings are currently closed.